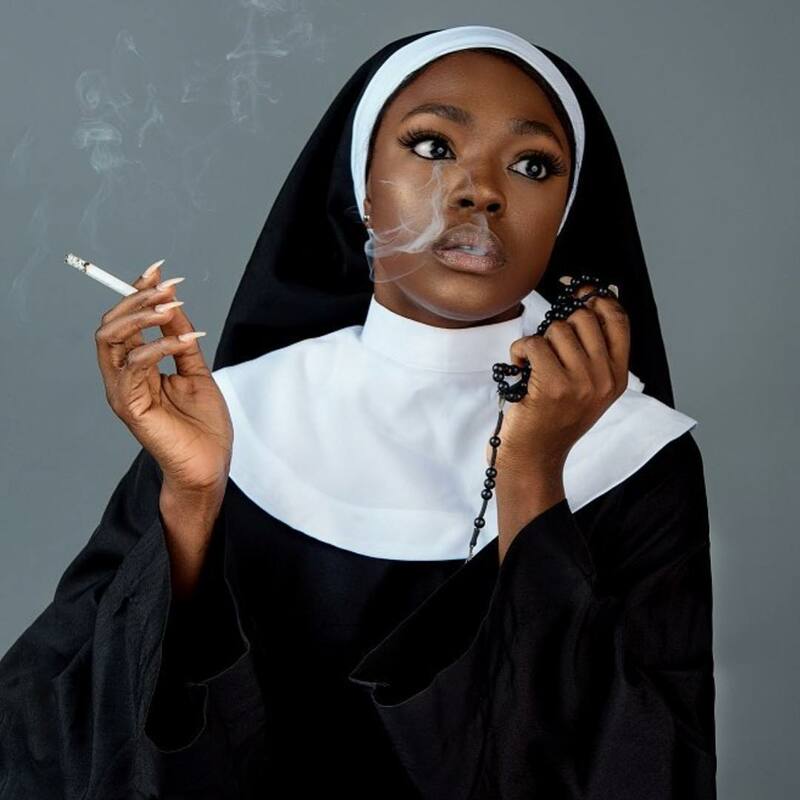 Controversial OAP Daddy freeze reacts to viral magazine photoshoot of popular model Beverly osu smoking with catholic dress. 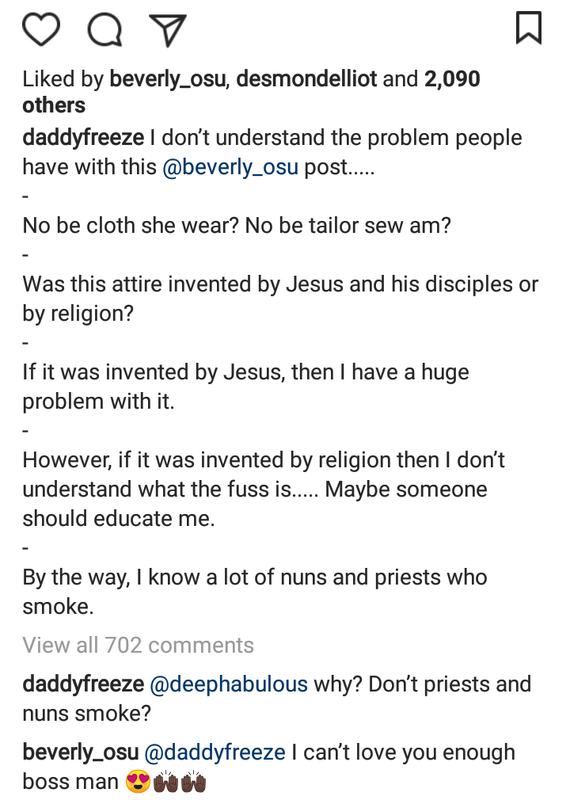 I don’t understand the problem people have with this @beverly_osu post…..
No be cloth she wear? No be tailor sew am? Was this attire invented by Jesus and his disciples or by religion? If it was invented by Jesus, then I have a huge problem with it. However, if it was invented by religion then I don’t understand what the fuss is….. Maybe someone should educate me. By the way, I know a lot of nuns and priests who smoke.